Greta called out “Mama?” from her crib in the back of the house. We greeted each other with smiles and outstretched arms, like long lost lovers, before I carried her out to the front porch. She felt warm and soft and smelled of apples. I felt intense attachment to those round mama birds hopping in our dewy grass. I couldn’t believe they could stand up with the heaviness of the babies they carried. Most days I could barely stand up either. The robins made me feel like God was on our side. We heard the twins come downstairs and went inside. The robins moved to the backyard while we ate breakfast. They were on the branches, fence, patio furniture, and right outside the window where I washed the dishes. “God is Good!” the kids giggled and shouted at each one with mouths full of muffins. That Spring, “God is Good!” was our family’s version of the Volkswagen “Slugbug-No Punch Backs!” It was a hectic season of selling, buying, and renovating a house, all three kids’ birthdays, and the end of school. The “God is Good!” car game pulled many smiles out of me as we ran around doing schooling, sporting, packing, storing, cleaning, and contracting. 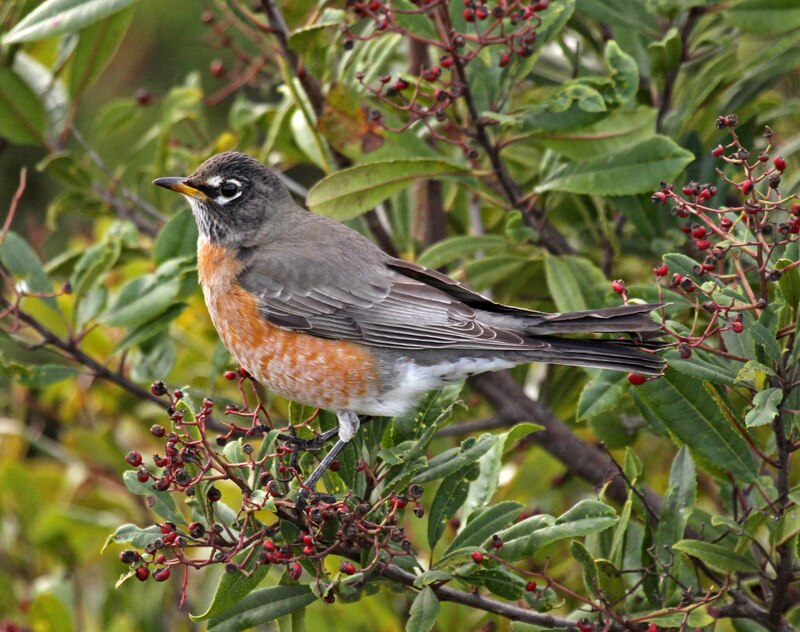 If we weren’t thinking about God before we saw a robin, we definitely were after the four of us shouted his name. One dismal day we were prowling around to get packing boxes out of dumpsters. We drove down the straight stretch of road over Lincoln Marsh. The road was eerily empty, except for a robin standing in our lane. He stared at us. I slowed down and stared back at him, silent. “God is Good!” my son shouted. “God is Good!” my girls yelled in unison. The robin and I both cocked our heads and stared at each other. “God is good.” I whispered wearily. The robin flew off into the marsh. A few days later I snuck out early for a long run. Two weeks until we moved across town. Two days until my baby turned two. I had five pages of to-do lists. It was all so heavy. I avoided the Marsh and headed toward the Farm on the Prairie Path instead. Five minutes into the run a robin hopped in front of me. “God is Good” I whispered. A mile later five robins swooped and landed and hopped around me. “God is Good. God is Good. God is Good. God is Good. 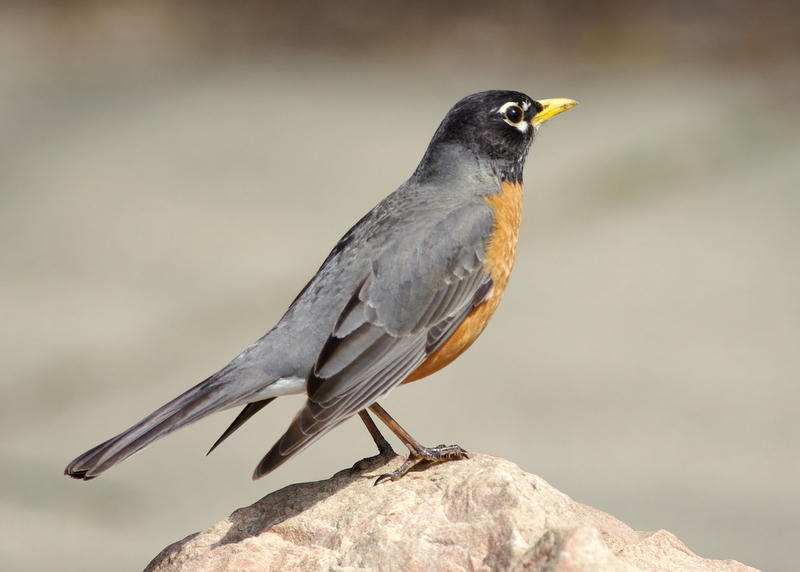 God is Good.” I said breathlessly, remembering the rule that you have to say it for each robin you see. More robins waited for me in some spring grass on the other side of a busy road. “God is Good. God is Good. God is Good.” It was starting to feel weird. After the pond and before the fields, the robins surrounded me. Five dove by my face. Fifteen gathered on the gravel to block my path. Ten watched in the trees. Ten hopped alongside me. “God is Good!” I said out loud, over and over again, breathless. I ducked my head, put my hands up, and tried to keep my balance. “God is Good” I panted again. It was kind of scary. 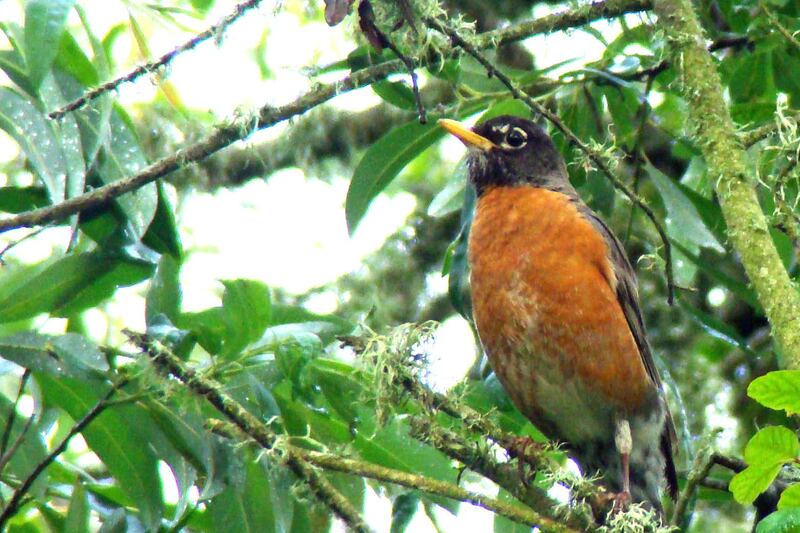 Why were the robins so insistent? The next morning Chris was home, so Greta and I didn’t have our porch and robin quiet time. I started working on the laundry in the basement. That’s when Greta fell out the second story window, 17 feet, onto the brick patio. Chris went running to save her. I called 911. “MY BABY FELL OUT THE WINDOW. COME HELP US. OH PLEASE COME HELP US.” The ambulance, fire truck, and police came. Greta didn’t stop screaming. Someone took our big kids to their house. The police asked and repeated dozens of questions for their report. The EMTs strapped Greta into the carseat strapped onto the stretcher and wheeled her to the street, where our neighbors were huddled together teary eyed in their pajamas. The sirens were loud. I held on tight in the back of the ambulance with my baby. She shook and her eyes rolled back. I had never been so afraid. Not when I was hit by a drunk driver, not when I went into labor at 25 weeks, not when I started bleeding out in delivery. None of that was like this. I climbed on the bed in the ER and held Greta close. We were both damp with sweat and tears. They checked all her vitals and started the tests, scans, and xrays. Within a half hour Greta ate goldfish, fed them to her Hello Kitty, and watched Finding Nemo with great interest. That afternoon Greta crawled and napped. After dinner she slowly walked around. The next day, on her second birthday, she ran down the stairs and danced in front of her Little Einsteins birthday cake. I don’t think she understood why all the grown ups were crying at her party. A robin hopped in the grass nearby. “The rain and snow come down from the heavens and stay on the ground to water the earth. They cause the grain to grow, producing seed for the farmer and bread for the hungry. It is the same with my word. I send it out, and it always produces fruit. It will accomplish all I want it to, and it will prosper everywhere I send it.” Isaiah 55:10-11 – The weeks before Greta fell out the window were very stressful. I didn’t make time to pray or read the Bible on my 5 page to-do list. But God, in his mercy, wanted to make sure we were still talking. 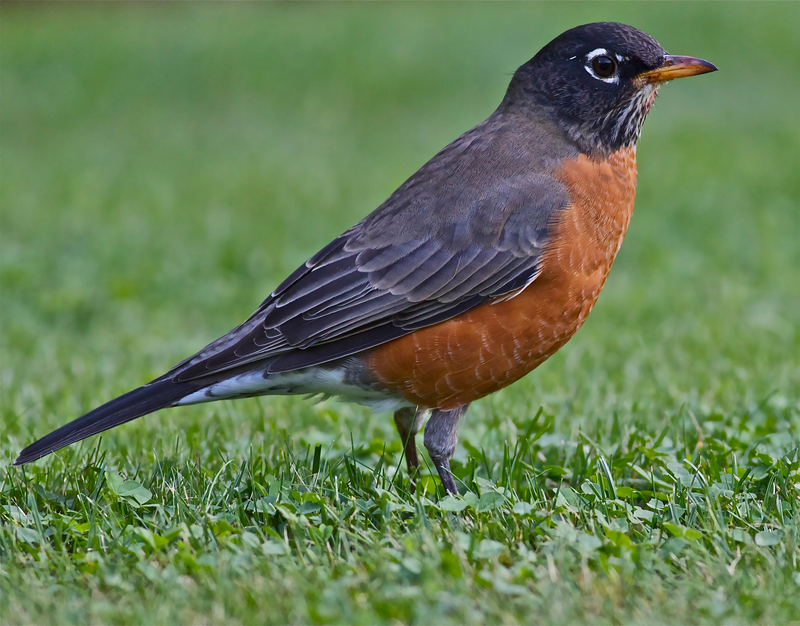 The robins were his messengers, even though I didn’t realize it, preparing and comforting us. Has God ever spoke to your heart through Creation? “The Lord has done great things for us and we are filled with joy.” – Psalm 126:3 – We don’t know why God chose to spare Greta’s life that day. We shuddered and wept in relief for many weeks. May 16th is now the day we remember God’s generous, unearned mercy. Do you have any near-misses in your past, any survival stories? Consider setting a timer for 10 minutes and writing down the times God intervened for you. Psalm 136 is a good framework for this. “Write these commandments that I’ve given you today on your hearts. Get them inside of you and then get them inside your children. Talk about them wherever you are, sitting at home or walking in the street; talk about them from the time you get up in the morning to when you fall into bed at night. Tie them on your hands and foreheads as a reminder; inscribe them on the doorposts of your homes and on your city gates.” Deuteronomy 6:6-9 – Are you in the habit of praising God? It’s hard. I tend to be more of a cynic, I can’t sing, and I don’t listen to Christian radio. The “God is Good” breath prayer/game/mantra taught me a lot about praying on the go, and being on the look out for God. How can you make looking for and talking to God a new habit? Aimee Fritz is an introvert who delights in telling long, true stories about everyday absurdities. She believes in an unseen God, hopes to someday feel qualified to parent, and is now allergic to every food she used to enjoy. Long ago she consulted companies, churches and nonprofits. These days she funnels all that energy into helping people see themselves as lovable and loving World Changers. 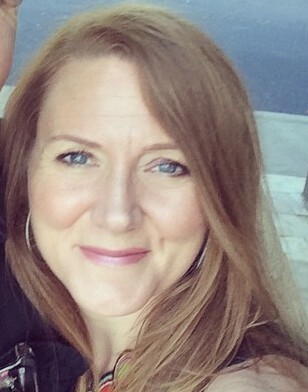 She loves to write, speak, and laugh about compassion, souls, and big mistakes. 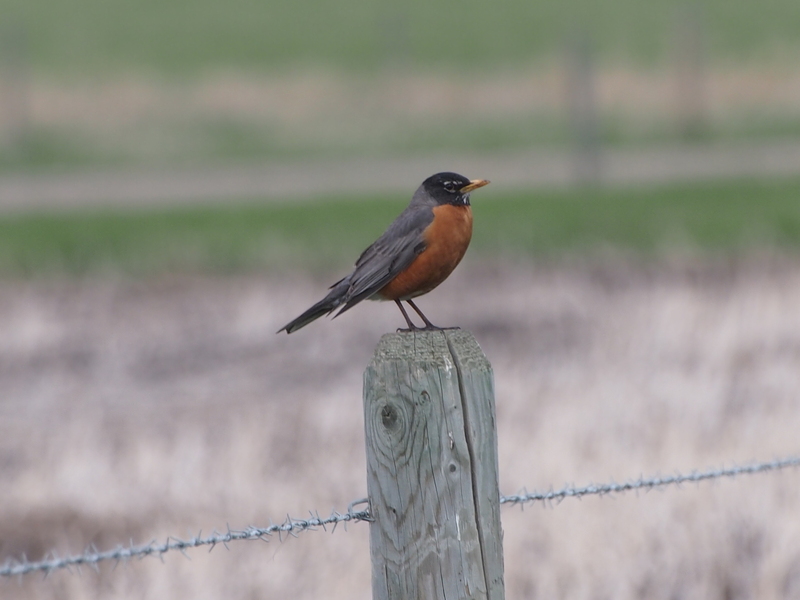 Fallow Fields – This wasn’t the last time the robins helped me. Running Away – And then one time the trees helped me, too. I Stopped Praying for My Kids – But not in the way you’re thinking.